Gr. 1: Alice Z. and Annet S.
Gr. 3: Mete S. and Kati K.
November’s character trait is GRATITUDE. 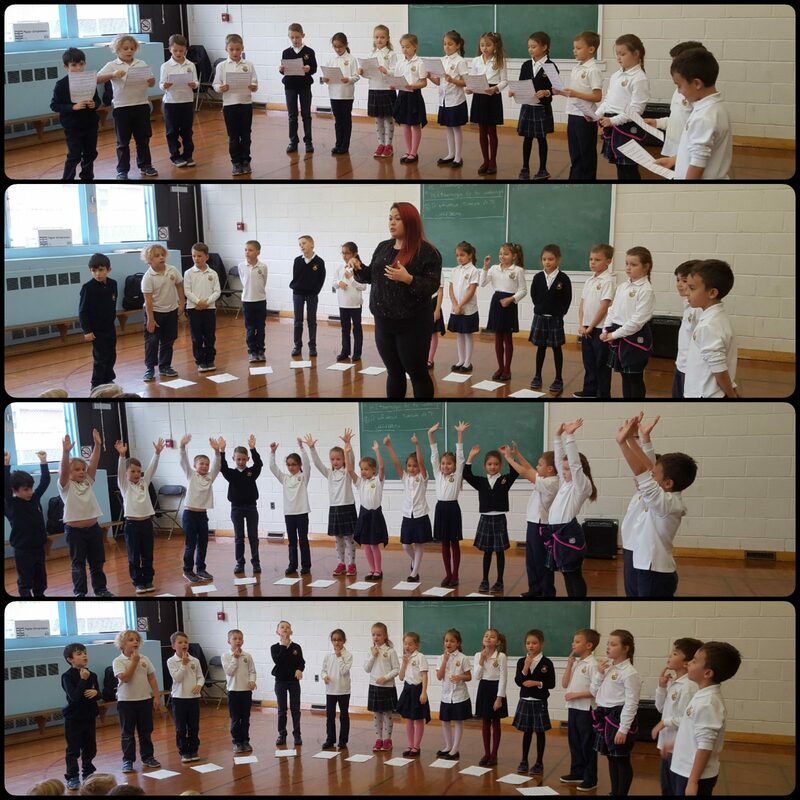 Ms. Vanessa and the grade 3s sang and signed the words of “You’re Welcome” for students to understand the meaning of gratitude. Great job grade 3s! 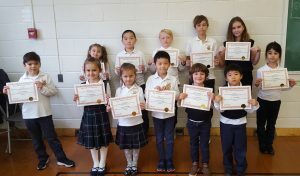 Prestige School has upgraded its homework tool from Moodle to Google Classroom this year. Google Classroom is more user friendly and allows teachers to upload supplement resources, such as videos or links for students. It also allows students and teachers to communicate. Teachers will be using Google Classroom to post homework, spelling words, and important announcements. Handouts will be posted in case students lose their sheet or are absent. Teachers will still be providing key handouts during class. Please make sure that you have logged into your child’s account and check it everyday. Thank you for your cooperation. Wednesday, October 31st is Halloween and pizza lunch! 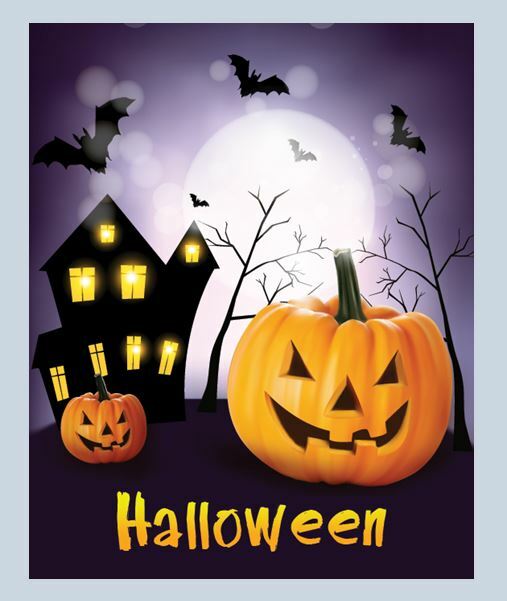 Your child is welcomed to come to school dressed in a costume or in casual clothes. Students will be having regular Wednesday classes from periods 1 to 5. Homeroom classes will be having a Halloween party during periods 6 and 7. Homeroom teachers will advise students what they can contribute for these parties. 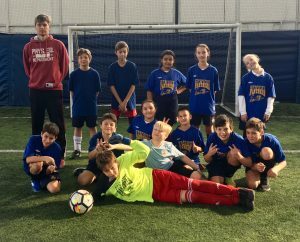 On Monday, October 22nd, select students in grades 5 – 7 participated in an indoor soccer tournament at The Hanger- Downsview Park. They displayed Prestige Panther spirit on their way to one win, one tie, and two losses. Prestige Panthers made it to the quarter finals. Sophia V. (gr. 6) and Anton Z. (gr. 7) scored during the tournament. Great work team! Thank you to Mr. Quick for coaching the soccer team. 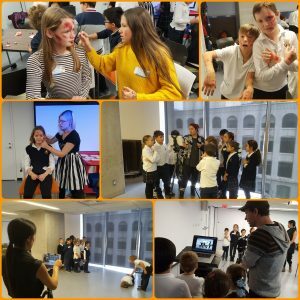 On Monday, October 22nd, students in grades 9 to 12 went to the Royal Ontario Museum. Students went on a guided tour and participated in a hands-on lab related to anthropology. Students learned new things and had a chance to explore the ROM. 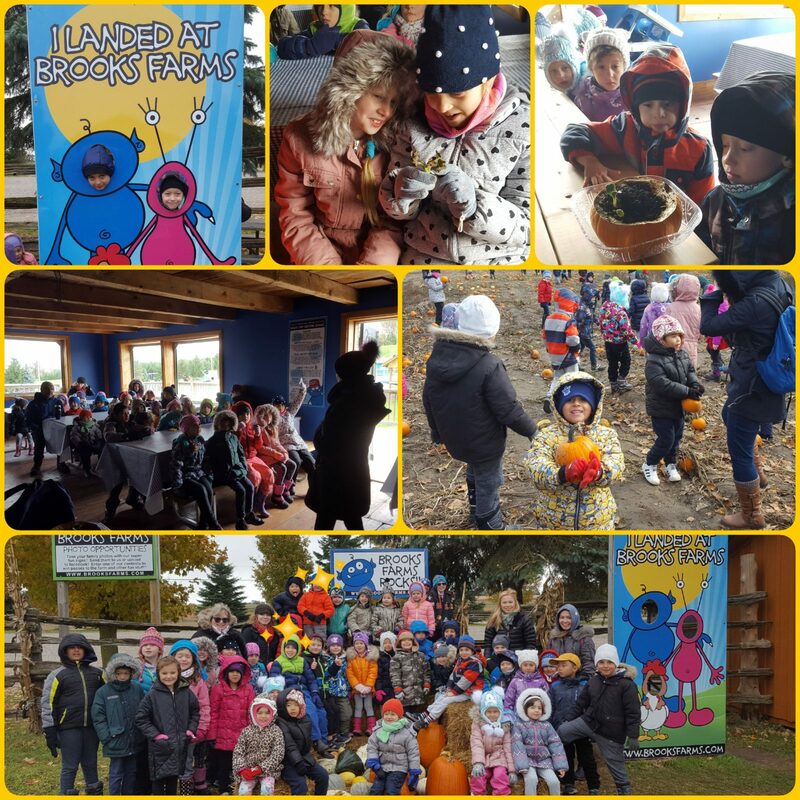 On Wednesday, October 24th, students in KG to grade 2 went to Brooks Farm. Students got a guided tour of the farm, a train ride, saw farm animals, learned about the pumpkin life cycle, and got to pick their own pumpkin. 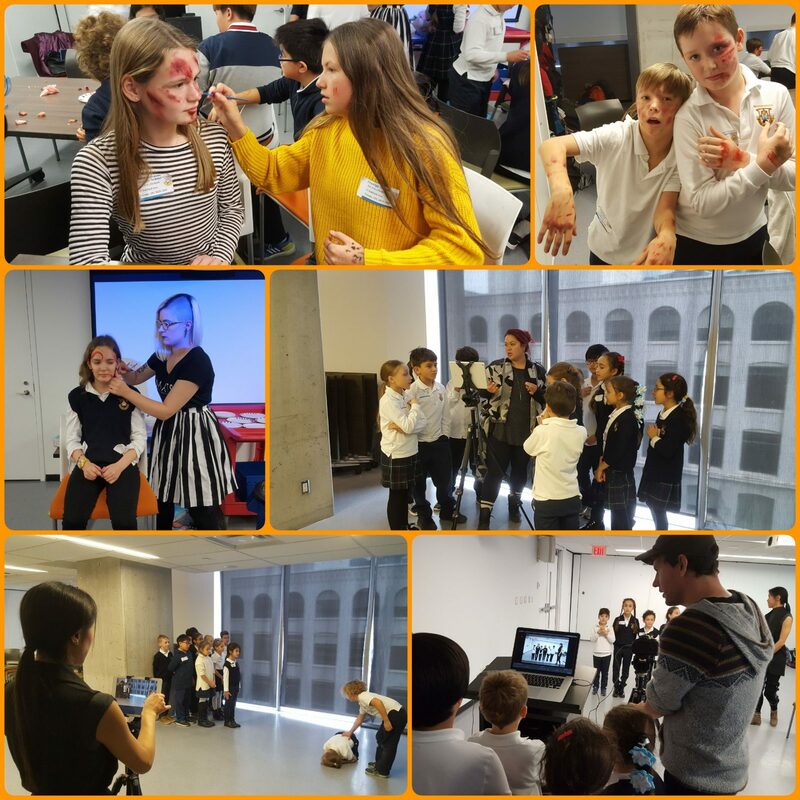 On Friday, October 26th, students in grades 3 to 8 went to TIFF Learning and Outreach to participate in hands-on film making workshops. Students learned pixilation and makeup for film. 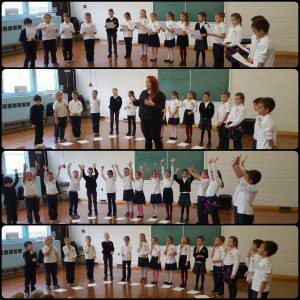 Students had fun exploring these new concepts.